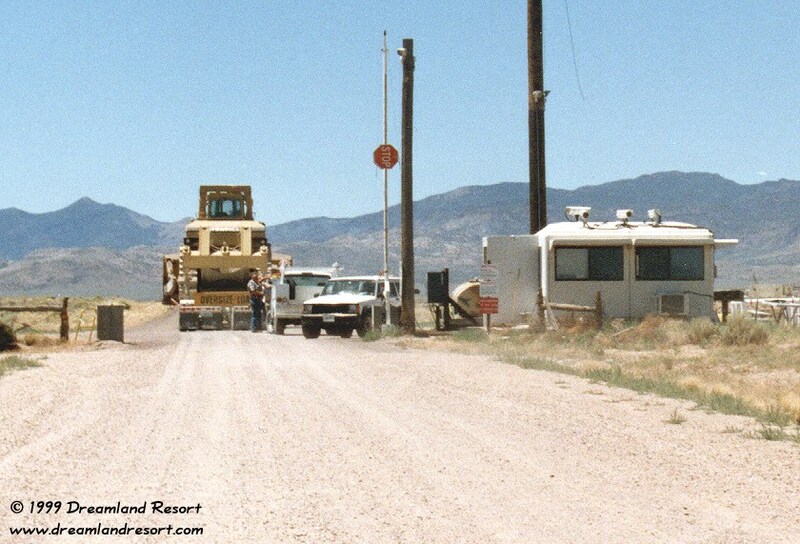 The photos below were taken near the Rachel Back Gate to Area 51 on 7/21/1999 around noon. A convoy of three vehicles approached and entered the gate, coming from Hwy 375. The first vehicle was a white security jeep with its light bar turned on, followed by an unmarked white flatbed truck with a large caterpillar on the bed, followed by an unmarked white pickup truck. As the convoy passed me and my camera the driver of the flatbed truck covered his face with his hand. When I approached the gate to take some close-up shots while they were checking in with security one of the guards jumped into his jeep, the gate swung open and he came driving right at me. Well, I did not wait to see what he wanted but got back into my own truck and drove back to Rachel. He followed me for a few miles down the dirt road, then slowed down and turned around. Now, what are they doing with a heavy caterpillar in an abandoned base ? And why are they so touchy about the camera ? 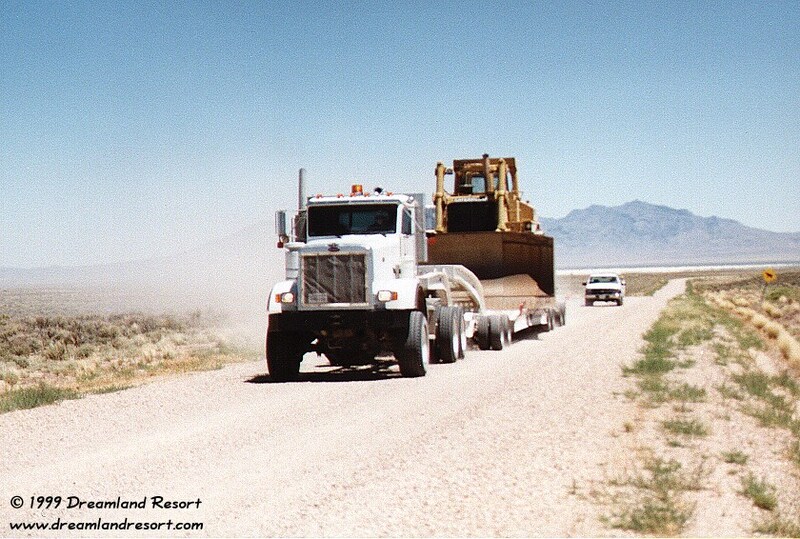 This unmarked white flatbed truck entered Area 51 through the Rachel Back Gate. Construction equipment for an abandoned base ? As I took this photo of the convoy checking in with the guards the gate opened and the security jeep sped towards me, chasing me halfway down the road to Rachel.